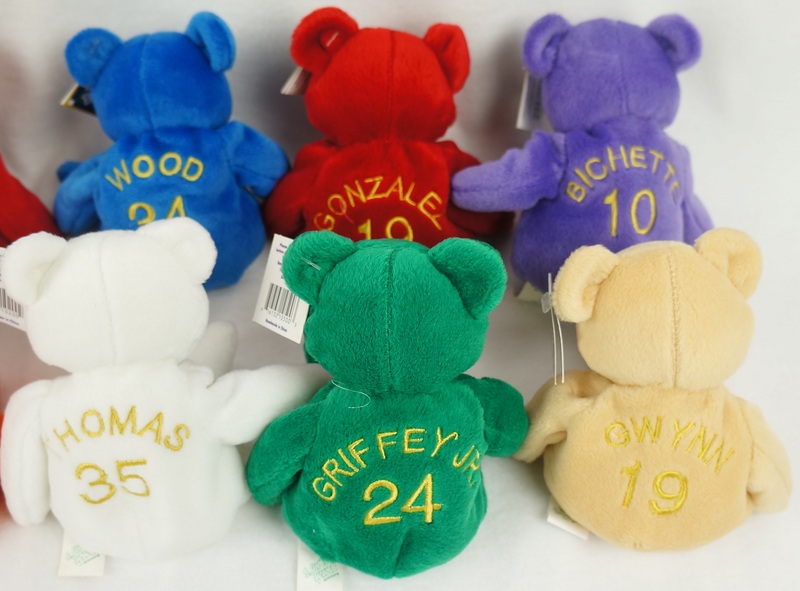 Lot Detail - Collection of 12 Salvino’s Bamm Beanos w/Derek Jeter & Ken Griffey Jr.
Collection of 12 Salvino’s Bamm Beanos w/Derek Jeter & Ken Griffey Jr. Lot of 12 Salvino Bamm Beanos from July, 1993. 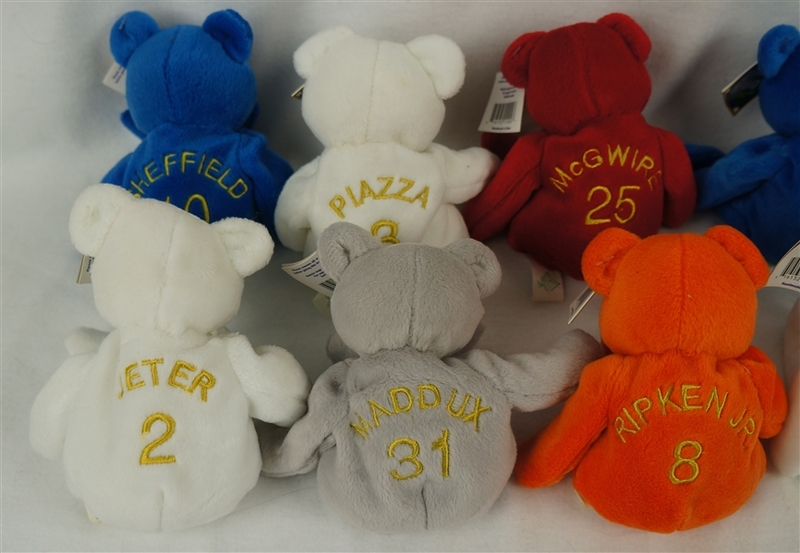 Plush bears include: Derek Jeter, Ken Griffey Jr., Cal Ripken Jr., Mark McGwire, Greg Maddux, Tony Gwynn, Frank Thomas, Mike Piazza, Juan Gonzalez, Dante Bichette, Gary Sheffield and Kerry Wood.